I love Easter! Absolutely love it! The freshness of Spring, the feeling of new beginnings…the chocolate! But the one thing that I struggle with since becoming a parent, is the need for my children to do Easter crafts! They LOVE crafting. In fact I’m pretty sure they’d spend all day painting and gluing and cutting out if I let them. The thing is – I hate the mess and the stress that goes with it. Getting out water (which is bound to go all over the counter), finding clean paintbrushes (literally never! ), finding pots for them to wash their brushes in, not going slightly mad when they mix all the colours together and we end up with a sludge of brown! So when Little Brian Paint Sticks asked if we’d like to try out their paint sticks as a mess free alternative, I couldn’t wait! 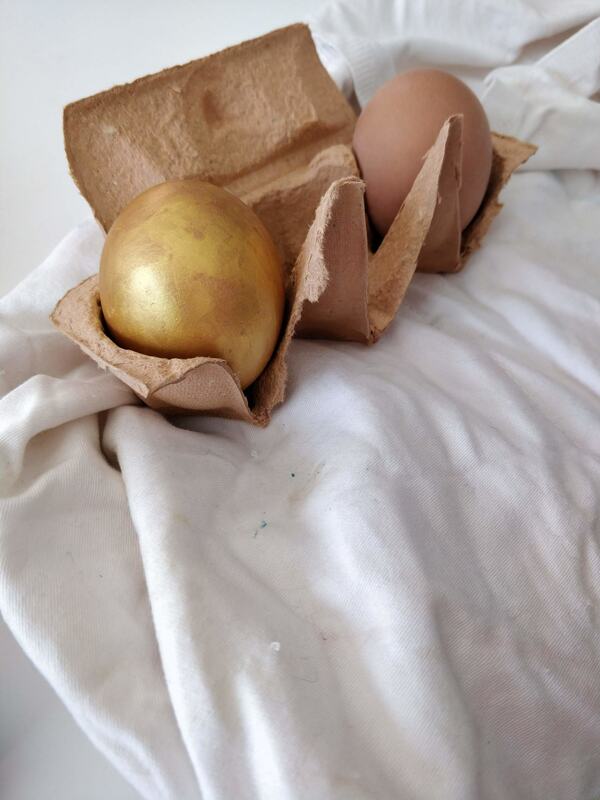 We decided, in the spirit of it being Easter, that a great idea would be to paint hard boiled eggs which we could then use to decorate the garden. 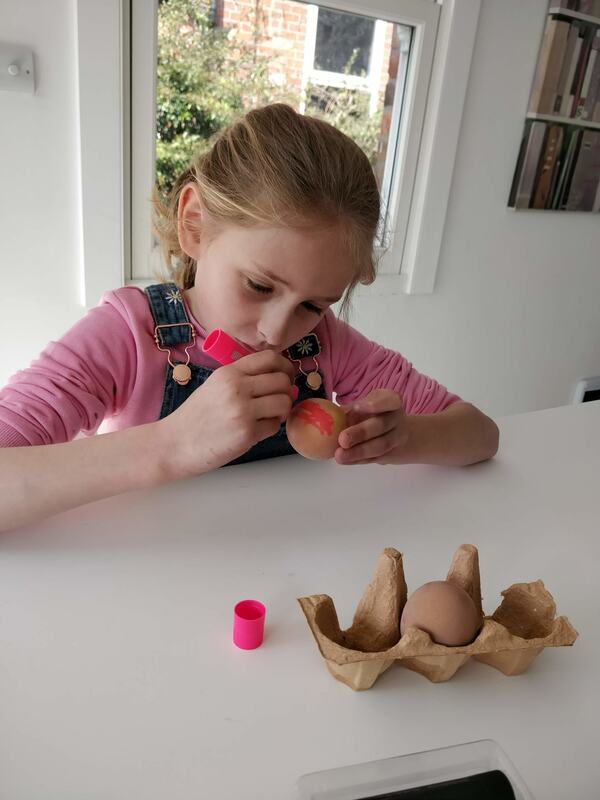 I thought this would be a good test of the paint sticks, as painting eggs with the usual paint would result in smeared eggs (and smeared children!). 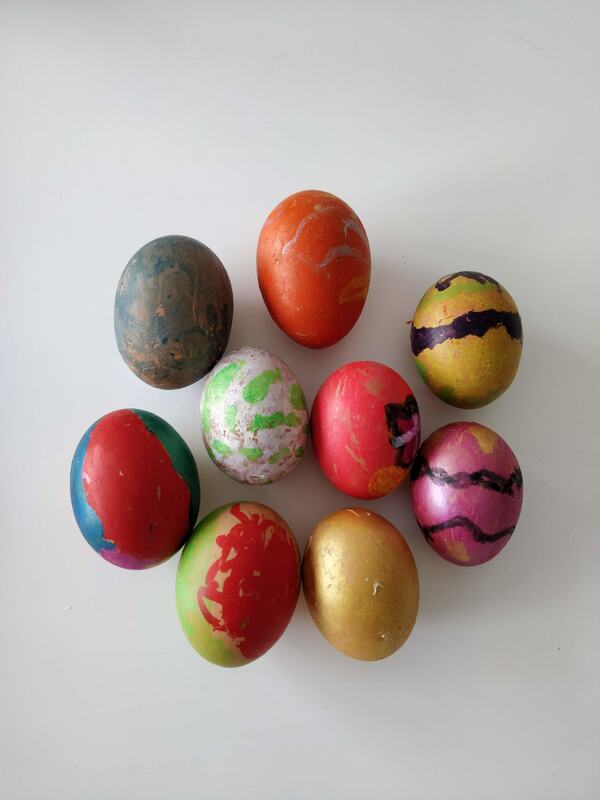 Also, and this is a genius part, I realised we could paint a whole bunch of eggs then use them to do the Easter Egg Hunt thereby saving a bit of money on chocolate eggs – perfect! The first part was easy. 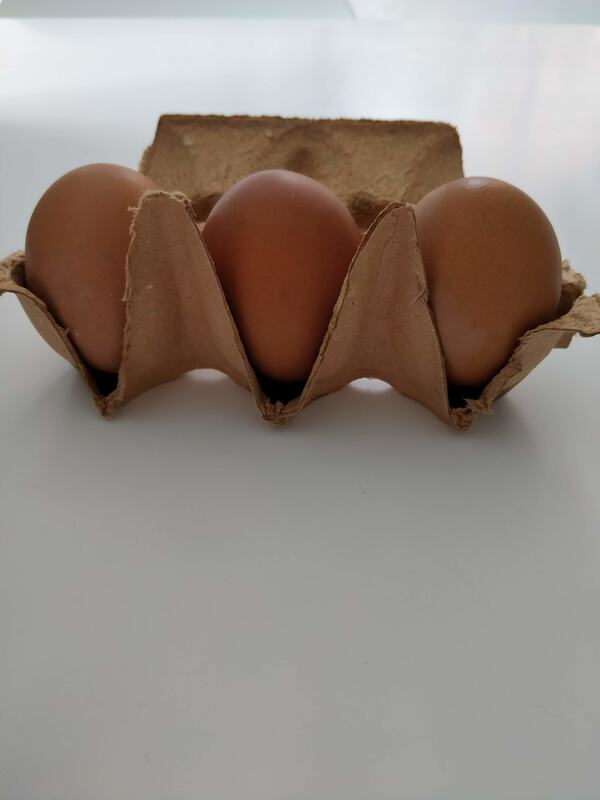 Hard boil a whole heap of eggs. 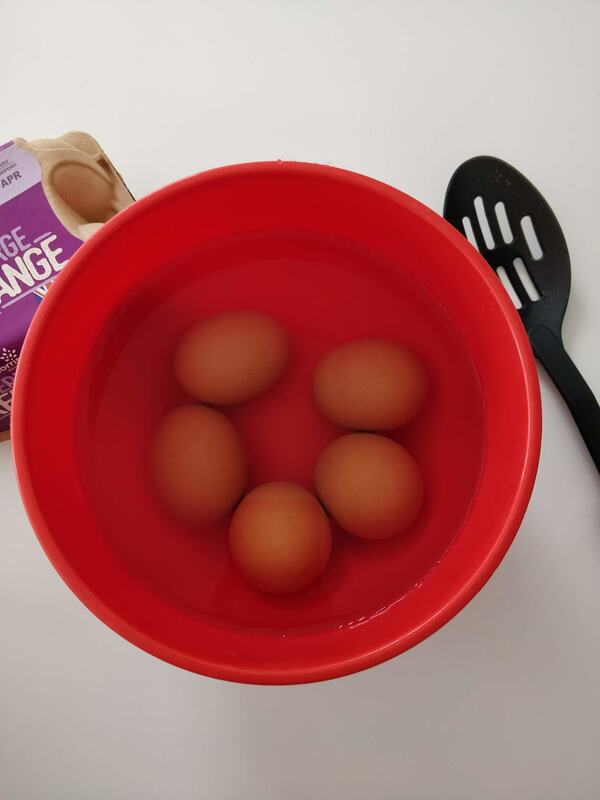 Well, I say easy, what I really mean is, ‘definitely keep checking on those eggs and don’t walk away and get stuck into some fascinating documentary on Netflix and turn up again about half an hour later in a complete panic thinking you’d burnt a whole in the bottom of the pan’ kind of easy! On the plus side, it did mean that they were super hard boiled, which in small hands can’t be a bad thing! After allowing the eggs to sit in cold water for a good 10 minutes or so to cool them down pretty quickly, we were ready to go. Well, almost! Knowing my dread of mess, and really REALLY hoping to eliminate it as easily as possible, I realised we would need something to pop the eggs into whilst the children changed colour/needed a drink/went to the toilet (*delete as appropriate!). So with a bit of a brainwave, I cut up the egg carton and we used that as the holding station! Genuis. Then it was onto the fun part. We’d been sent a lovely bundle of Little Brian Paint Sticks which included metallic colours, neon colours, mini sticks and chalk sticks, so the children had lots of fun deciding what colours they wanted their eggs. Unsurprisingly they both headed for the metallic colours first (after all, who wouldn’t want a golden egg?). And off they went. Well, I was beyond impressed and delighted with how we got on. The paint works in a similar way to a glue stick – you just take off the top, wind up the bottom and get painting. Not only that, but it covered the eggs really well in a very little time – and dried in about 30 seconds! This made such a huge difference as the children wanted to, obviously, use as many different colours as they could, so it didn’t take long before one section was dry and they could cover it with another colour! 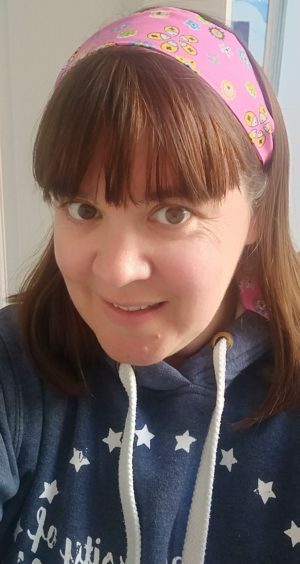 They had an absolute blast using their paint sticks – and I had a real blast knowing they were doing crafts and I wasn’t having to go mental about the mess! It was a win win situation. 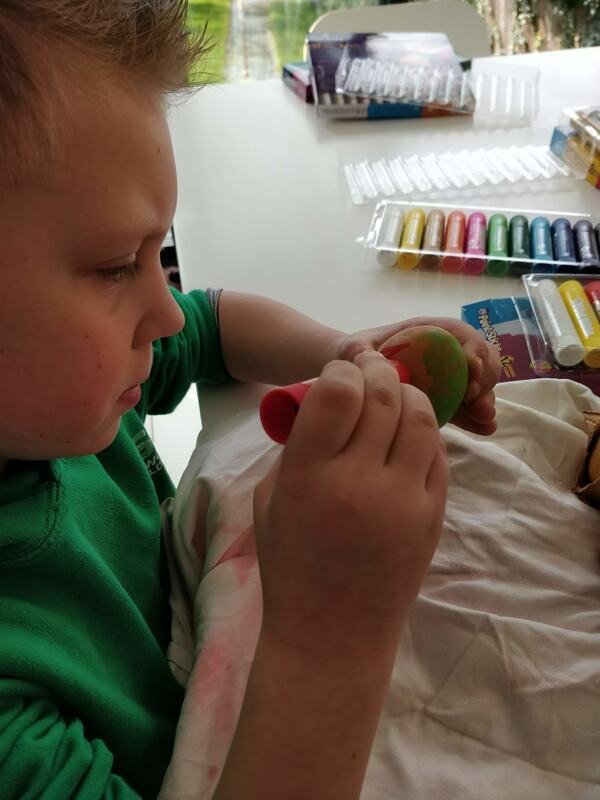 By the end we had 9 beautifully decorated eggs, ready to be hidden on Easter morning – and two completely unmessy children aside from a quick hand wash – now THAT is the way to do crafts! 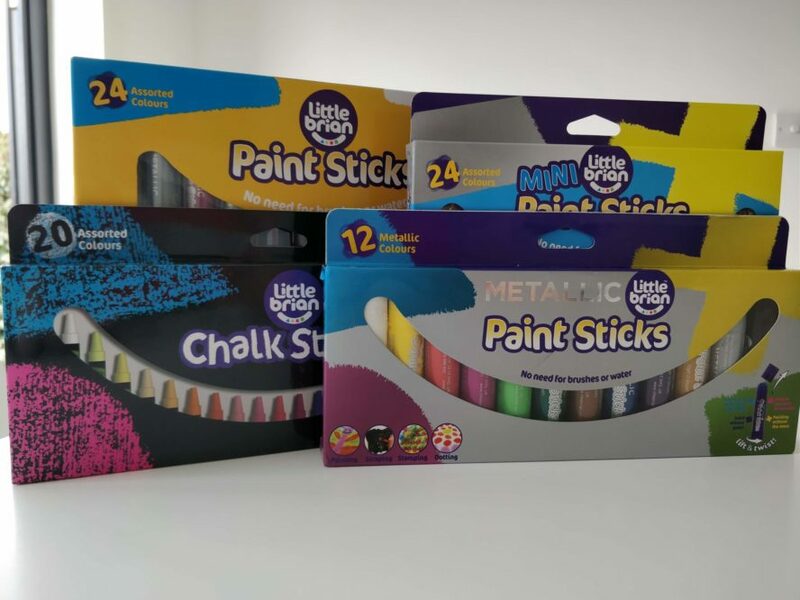 Disclosure: We were sent the Little Brian Paint Sticks in return for an honest review. As always, we will only recommend products that we would use ourselves.